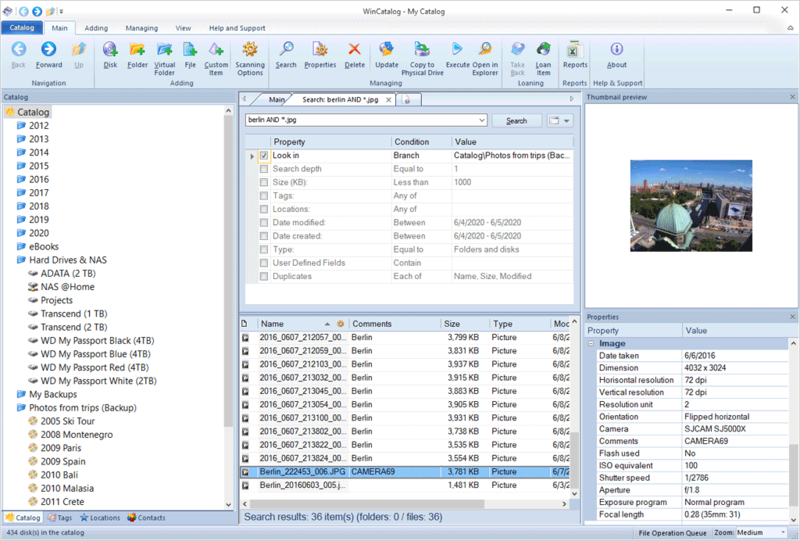 Create a catalogue of all your discs, files, and folders: automatically grab ID3 and Exif tags, picture thumbnails, expand archives, ISO files, and more. No typing needed! 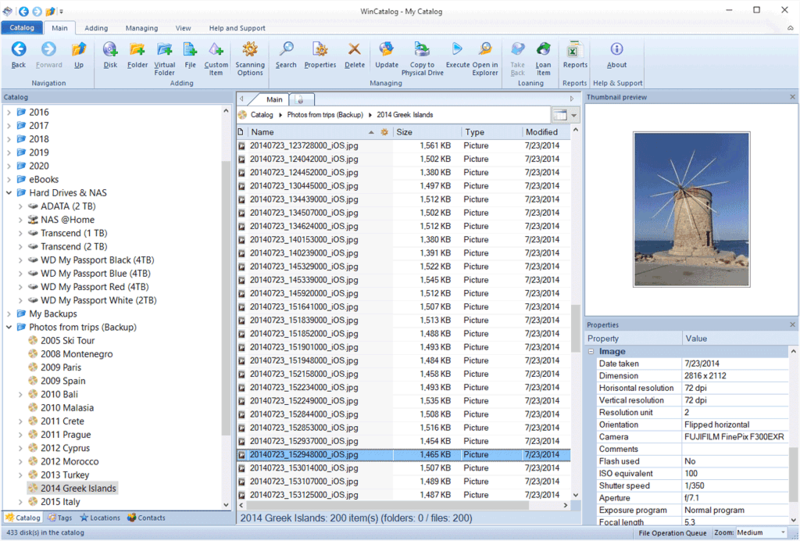 Manage your disc catalogue by using categories or virtual folders. Create and assign tags. Browse using the grid or thumbnails view modes.